The desire to reduce society’s carbon footprint has put the spotlight firmly on renewable energy technologies. The uptake and promotion of renewable technology has prompted the Electrical Safety Office (ESO) to investigate possible electrical safety issues. 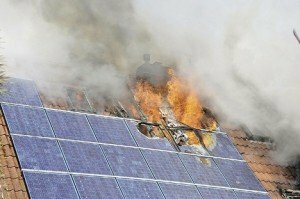 Also the risk of electric shock from contact with ‘live’ solar panels and other equipment; and the risk of electric shock to line workers if power is fed back into the supply grid. Suitable methods to ensure isolation of parts need to be implemented to ensure live work does not need to be performed. Make sure that the company installing your system is both a fully qualified electrician and accredited by the Clean Energy Council of Australia. 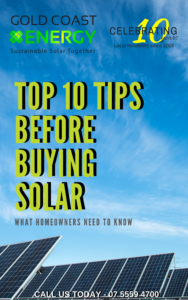 Get a Solar professional (as above) to conduct a check on your Solar system every 6 months to a year. This will ensure your panels are working as they should be, they are clean and free of debris and ant nest build up underneath the panels. Make sure when the system is installed that both the AC and DC sides of the system are correctly electrically isolated. Ensure that your installer has clearly displayed the correct shutdown procedure for the system on the switchboard. 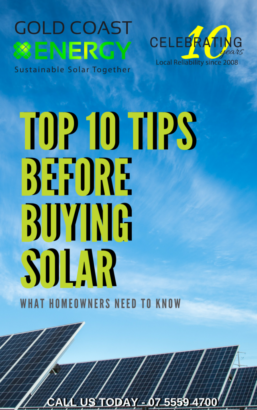 Using these helpful tips you can not only make an informed decision about who you will commission to install your solar system but also, how to ensure your system is always safe.